Nottingham may be a city you already know and love, but in case it’s new to you, here’s a flavour of what it offers, with thanks to Invest in Nottingham for much of the information. Situated in the heart of England, Nottingham has excellent transport links and most of the country is accessible in around two hours through excellent motorway and rail connections. St Pancras International can be reached within 90 minutes, meaning Mainland Europe can be reached within four hours by train. East Midlands Airport is easily accessible from the city which has direct routes to many worldwide destinations. Nottingham holds a variety of theatres, art galleries, bars and restaurants. 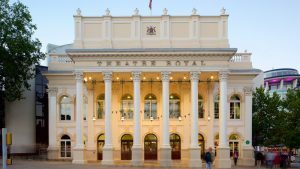 The Theatre Royal and the Royal Concert Hall play host to a large number of big productions, and theatres such as the Lace Market Theatre are home to smaller independent performances. The Nottingham Contemporary Art Gallery opened in November 2009 and, with the Lakeside Arts Centre and the New Art Exchange, further enhances Nottingham’s artistic reputation. Gastronomic delights are varied and plentiful – there are over 370 restaurants, cafes, pubs and clubs. The city has more cafes, restaurants and other eateries per square mile than anywhere in the UK offering a wide variety of foods from around the world. The city also boasts the only Michelin Star chef in the East Midlands, Sat Bains. 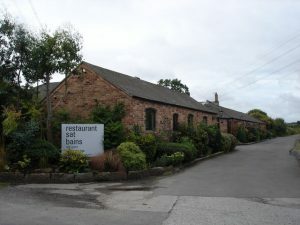 Sat won the Good Food Guide’s “Best Chef Award” in 2011 (with his restaurant placed at number 3 for 2012) and his restaurant has been placed in the top five in the UK in the National Restaurant Awards. 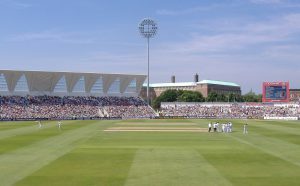 The city has a rich sporting heritage with two professional football clubs, an international test cricket venue (Trent Bridge) and the National Water Sports Centre based within the city limits. There are a large number of leisure centres and sporting facilities allowing residents to participate in the sport of their choice, as well as events such as the Experian Robin Hood Festival of Running. Whilst its reputation as a global city continues to grow, Nottingham is already held in high regard as a sporting city. Nottingham has a thriving classical music scene. The Royal Concert Hall plays host to many nationally and internationally renowned performers such as the Berlin Symphony Orchestra and the Royal Philharmonic Orchestra; it also hosts the Nottingham classical music season. The Nottingham Music Society also hosts live chamber music.